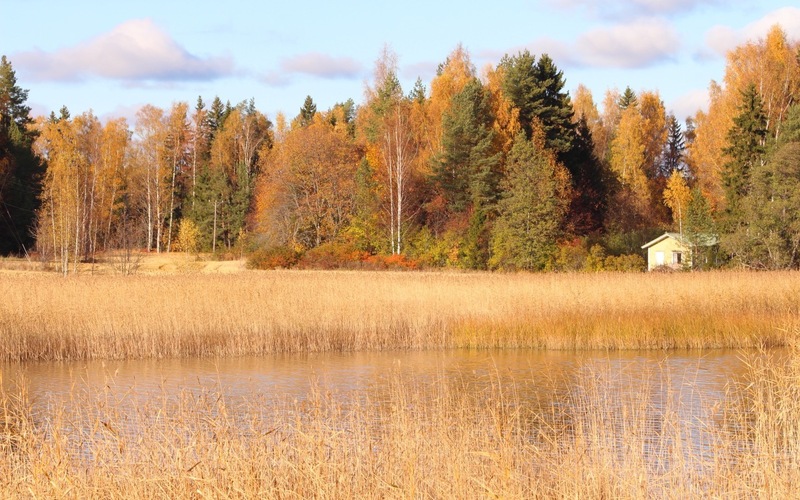 Try to mix all these ingredients: new lodges located on the seaside. 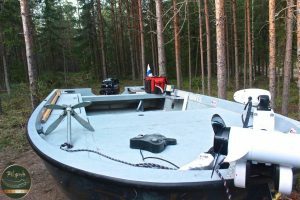 Four new large aluminum floored boats fully equipped with 20 hp Mercury and trolling motors. Delicious food prepared daily. 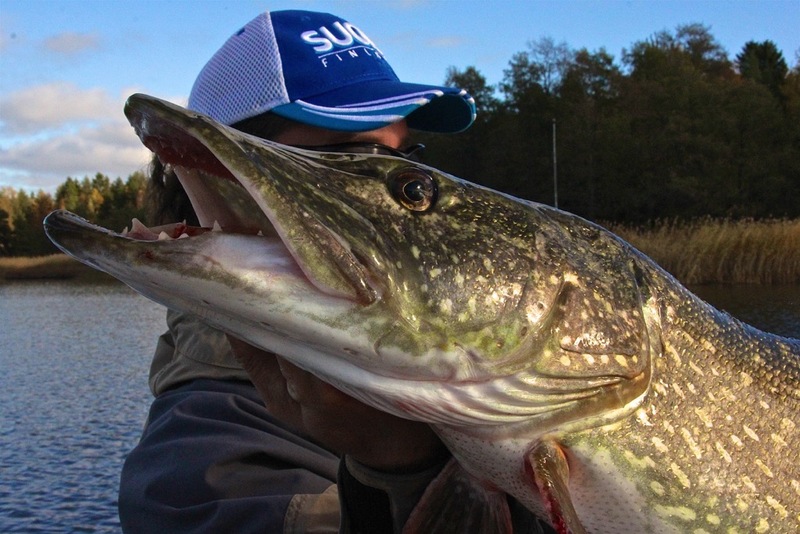 Many large pike swimming in shallow waters surrounded by spectacular landscapes. This is our recipe for you. Book a trip from 590 euros. 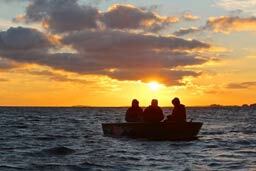 We can offer short or longer stays for fishing in the Baltic sea. 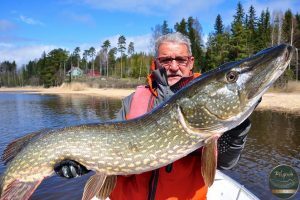 Pike, Perch and Zander heaven. 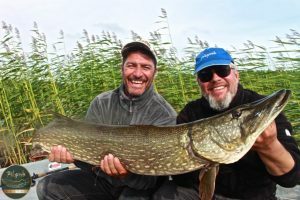 Have a look to the availability for 2019 or prebook with no added cost for the best weeks of 2020 . Book the best periods. If you need more information, prices and dates, please e-mail us or chat via Skype with our staff. 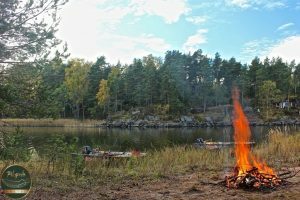 The location is perfect for a fishing holiday. 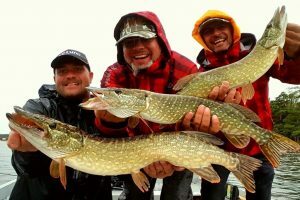 You can relax and attract big fish with jerkbait, topwater, shad, swimbait, spinnerbait and old-style lures. 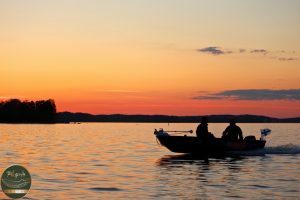 The surrounding landscape is a paradise for fishermen: many islands, shallow bays, grasslands and weedbeds. 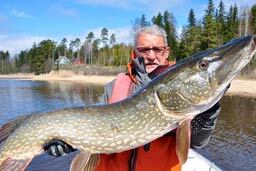 Big pike come from the open water to the deep water: a one-of-a-kind experience only the Finnish Baltic can give you. We have a catch and release policy for all kinds of species. 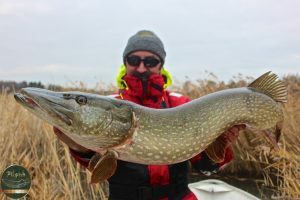 Large rubber nets and tools for unhooking are available for correct pike release.